Share music & photos over your network on a TiVo. Is there a better alternative to TiVoDesktop? Is TiVoDesktop really the best app in Audio category? Will TiVoDesktop work good on macOS 10.13.4? 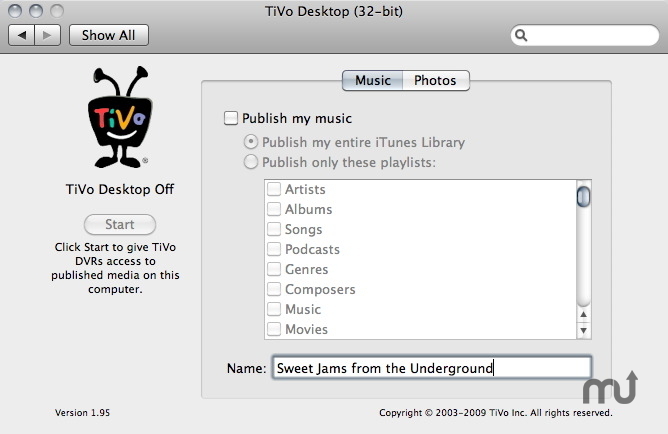 TiVo Desktop makes music and photos you publish to your DVR available on your home network. Please note: Does not support AAC audio files (including music purchased through the iTunes Music Store).